I seen it out the window of our home and grabbed my camera and ran outside and got him! 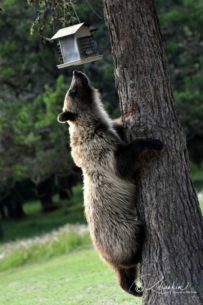 Climbing the Larch Tree to the bird feeder. He was booted out by the sow (his mama) and now on his own.